I don’t think I need surgery. I’m the doctor! he spat. I went to school for this! her shoulder didn’t fully heal. Your physical therapist is an idiot! a tornado whirling their good air. Alan King is an author, poet, and journalist living in the D.C. Metropolitan area. He holds an MFA from the Stonecoast MFA Program at the University of Southern Maine. He’s led creative writing workshops through the Baltimore/Washington, D.C. area including at Homewood, D.C. Creative Writing Workshop and Duke Ellington School of the Arts. King’s works appear in numerous journals — including African American Review, Black Renaissance Noire, Boxcar Poetry Review, Gargoyle and Indian Review — and anthologies — including Dismantle: An Anthology of Writing from the VONA/Voices Writing Workshop, Drawn to Marvel: Poems from the Comic Books, and Full Moon on K Street: Poems About Washington DC. Learn more about his publications at the Poets & Writers’ Directory of Writers (http://www.pw.org/content/alan_king). His work’s been nominated twice for a Pushcart Prize (2007 & 2009) and a Best of the Net Selection (2009 & 2012). His other awards include a 2011 Social Action Scholarship at Stonecoast MFA in Creative Writing and fellowships from Cave Canem and Voices of Our Nation (VONA). 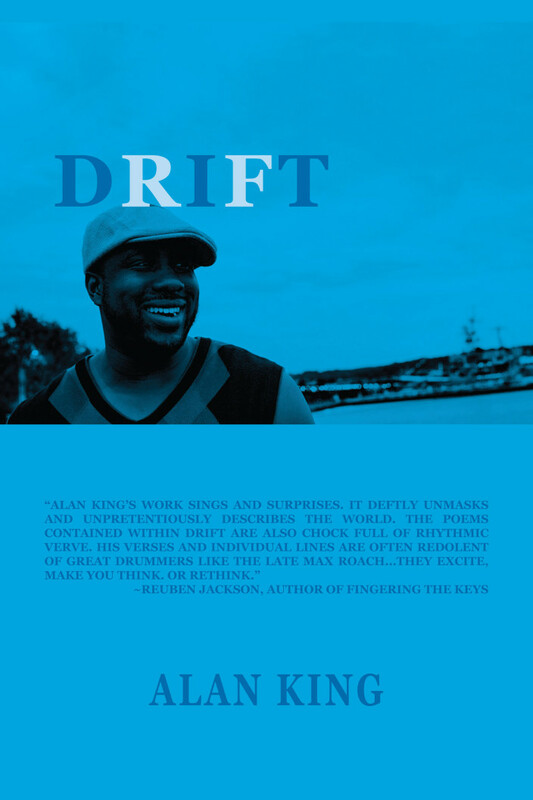 DRIFT (Aquarius Press/Willow Books) is his first book. Connect with King on Twitter (@aking020881), Facebook (facebook.com/AWKing020881), his blog (alanwking.com), email (nyckencole@hotmail.com), and his newsletter “The Hourglass Flow” (http://eepurl.com/Jk4ob).